Home » Health » What Is Tuberculosis? TBC or Tuberculosis also known as TB is a lung disease caused by Mycobacterium Tuberculosis. TBC will cause symptoms such as cough that lasts longer ( more than 3 weeks ), usually phlegm and sometimes bleeds. TBC sufferers will also experience weakness, fever, weight loss, no appetite, chest pain and night sweats. This disease is transmitted from spit saliva that comes out of TB patients, when talking, coughing, or sneezing. This disease is more susceptible to someone with a low immune system, such as an HIV sufferer. TB can be detected through sputum examination. Some other tests that can be done to detect infectious diseases are chest X-rays, blood tests, or skin tests (Mantoux). This disease can be cured if the sufferer adheres to taking medication. To deal with tuberculosis, patients need to take several types of drugs for quite a long time (at least 6 months). 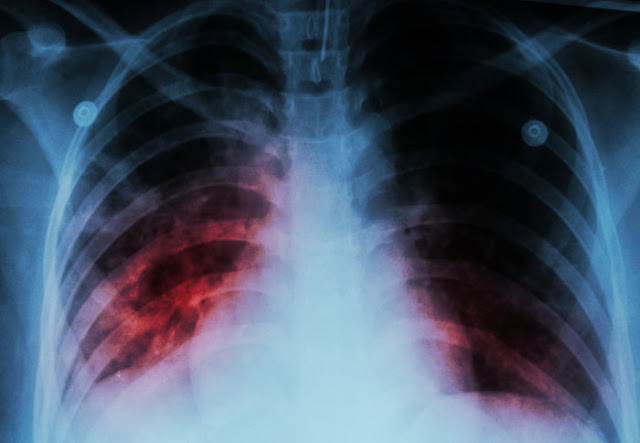 In addition to attacking the lungs, TB germs can also attack bones, intestines, or glands. A cough that lasts long (3 weeks or more), usually phlegm. Not all TB germs that enter the lungs immediately cause symptoms. TB germs can only hide until one day it becomes active and causes symptoms. This condition is known as latent tuberculosis. Apart from not causing symptoms, latent tuberculosis is also not contagious. In addition to attacking the lungs, TB germs can also attack other organs, such as the kidneys, intestines, brain, or glandular TB . TB in organs other than the lungs often occurs in people with low immunity, for example AIDS sufferers . Swollen lymph nodes when exposed to glandular tuberculosis. Bleeding urine on kidney TB. Back pain in spinal tuberculosis . Abdominal pain if you experience intestinal TB. Headaches and seizures when exposed to TB in the brain. TB (tuberculosis) is caused by a bacterial infection of the same name, Mycobacterium tuberculosis . These germs or bacteria spread in the air through the splash of the patient's saliva, for example when talking, coughing, or sneezing. However, transmission of tuberculosis requires close and sufficient contact with patients, not as easily as the spread of flu . The longer someone interacts with TB patients, the higher the risk of contracting it. For example, family members who live at home with TB patients. In patients with TB that do not cause symptoms (latent tuberculosis), TB germs remain in their bodies. TB germs can develop into active if the person's immune system is weakened, as in AIDS sufferers. However, this latent tuberculosis is not contagious. People who live in dense and slum settlements. Medical staff who are often associated with TB patients. People who are addicted to alcohol. Patients with advanced kidney disease. People with weak immunity, for example people with AIDS, diabetes , cancer, and people who are malnourished. To detect TB (tuberculosis), the doctor will first ask for complaints and diseases that have been suffered. Then the doctor will do a physical examination, especially by listening to the sound of breath in the lungs using a stethoscope. The doctor will also check for gland enlargement, if glandular tuberculosis is suspected. If the patient is suspected of having tuberculosis, the doctor will ask the patient to do a phlegm examination called BTA examination . BTA examination can also be done using samples other than sputum, for TB cases that occur not in the lungs. If the doctor needs more specific results, the doctor will recommend checking BTA culture, which also uses the patient's sputum samples. BTA culture tests can determine whether or not an effective TB drug will be used to kill germs. However, this test takes longer. IGRA Blood Test ( interferon gamma release assay ). This disease can be cured and is rarely fatal if the patient follows a doctor's advice. The main principle of TB treatment (tuberculosis) is to adhere to taking medication for a period of time recommended by the doctor (at least 6 months). If you stop taking medication before the recommended time, the TB disease that you suffer has the potential to become immune to the drugs that are usually given. If this happens, TB becomes more dangerous and difficult to treat. For patients who are already resistant to a combination of these drugs, will undergo treatment with a combination of drugs that are more and longer. Duration of treatment can reach 18-24 months. During treatment, TB patients must routinely undergo phlegm checks to monitor their success. One step to prevent tuberculosis is to receive the BCG vaccine ( Bacillus Calmette-Guerin ). In Indonesia, this vaccine is included in the list of mandatory immunizations and is given before the baby is 2 months old. For those who have never received a BCG vaccine, it is recommended to do a vaccine if there is one family member who has TB. TB can also be prevented by a simple method, namely wearing a mask while in a crowded place and if interacting with TB patients, and often wash hands. Cover your mouth when sneezing, coughing, and laughing, or wear When using a tissue to cover your mouth, discard it immediately after use. Do not throw phlegm or spit carelessly. Make sure the house has good air circulation, for example by often opening doors and windows so that fresh air and sunlight can enter. Do not sleep in the same room with other people, until the doctor states that the TB you are suffering from is no longer contagious. 0 Response to "What Is Tuberculosis?"